'I make no apology for my rock pooling addiction. I may not be a trained marine biologist, but I’ve loved marine wildlife ever since I can remember. Growing up in a house where I could hear the Atlantic storm breakers rolling in and where sea foam fell like snow on the garden might have had something to do with it. I filled my bedroom with seashells, began organising beach cleans and carried on from there. 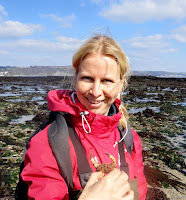 My career as an environmentalist, educator and writer invariably comes second to my rock pooling obsession. As soon as the tide drops, I’m out on the shore, head down, bottom up, never knowing what I’ll find. 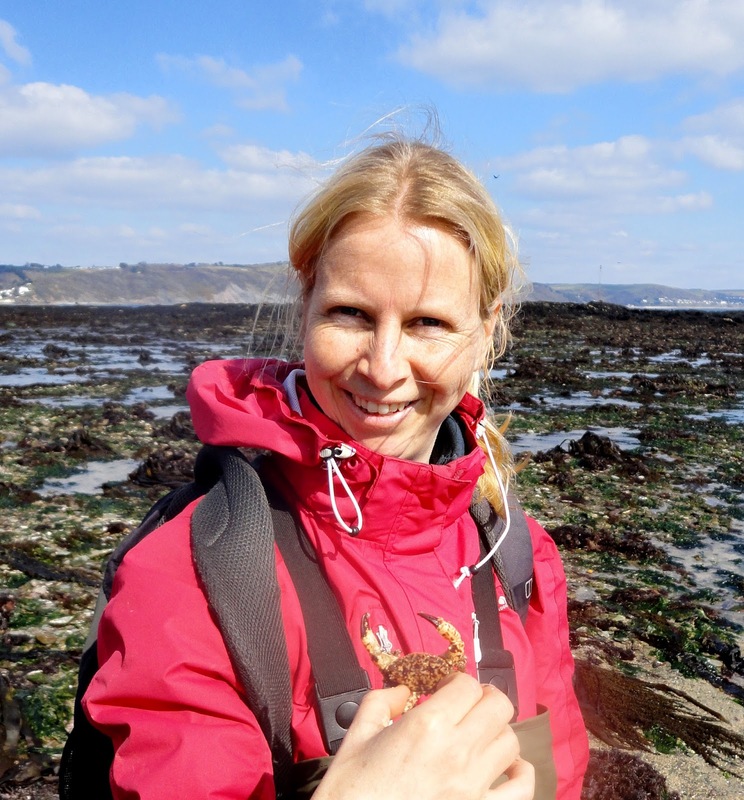 I love to share my excitement with anyone who’ll listen, so I volunteer with the Cornwall Wildlife Trust and the Looe MarineConservation Group, recording intertidal wildlife, taking groups out on the shore and giving talks. 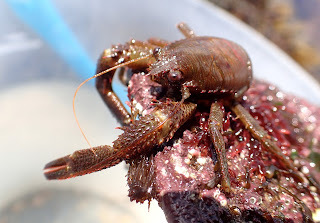 When I set up my Cornish Rock Pools blog I began taking photography more seriously. I only have a basic waterproof compact camera, but through my photos I’ve been able to share our incredible UK marine wildlife with people around the world. I still take blurred photos by the dozen, but these things happen when you’re wedging your head into seaweed-fringed overhangs. No matter how cold it is, how much my fingers hurt, or how quickly the tide’s turning, if I find something amazing I plunge my camera back into water until I have the photo I want. 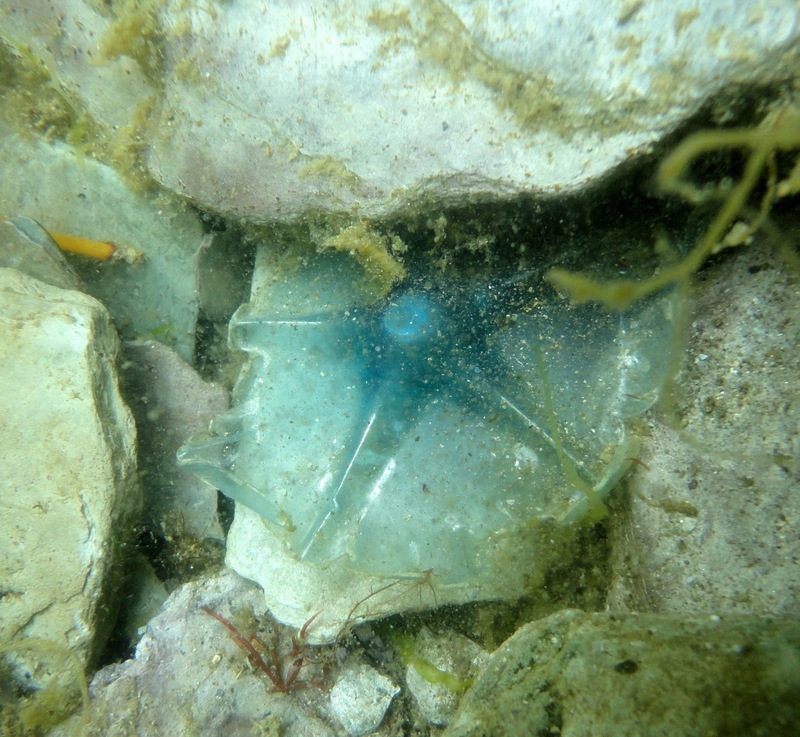 Our marine environment is facing huge threats, from plastic pollution to changing sea temperatures. You don’t have to be a marine biologist to make a difference. We can all do something, whether it’s supporting campaigns, reducing plastics in our lives, helping on beach cleans or getting involved with local projects and events. Projects funded by Sea-Changers are doing a fantastic job of reaching out to communities, inspiring everyone to get their wellies on to connect with marine wildlife'.